Competitive relationships in a fertile grassland community – does size matter? There is currently much debate about the relative importance of two contrasting mechanisms thought to be involved in regulating plant communities. One of these mechanisms is thought to result from species which possess particular traits, becoming dominant within the community and thus determining the abundance of other species. The second mechanism is thought to result from the complementarity of different species exploiting different resources and thus promoting co-existence. To investigate the relevant importance of these two mechanisms, a series of pot experiments were performed in which the competitive relationships of eight species of grass were estimated in monoculture, in pair-wise comparisons and by the impact of their removal on the remaining community. Although superficially above-ground biomass appeared to be a good predictor of competitive ability, more detailed analysis revealed that size was ineffective as a predictor of a species' impact on a community. 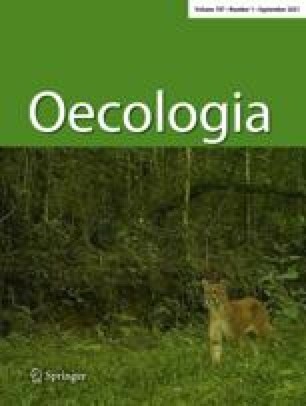 In contrast there was evidence that complementarity was important in determining species–species interactions both at the level of pairs of species and even more so at community level. It is argued that complementarity is more important in diverse communities than in pair-wise interactions because complementarity is an emergent property of species diversity.